Apply now to become one of our Choral Scholars! Apply now for a Choral Scholarship for 2018/19 singing at both St Stephen Walbrook and our partner church St Martin-in-the-Fields. These are among the most stimulating and educative choral programmes available in London. The scheme is aimed at choral singers who are either students or recent graduates wishing to embark on a professional career in singing. 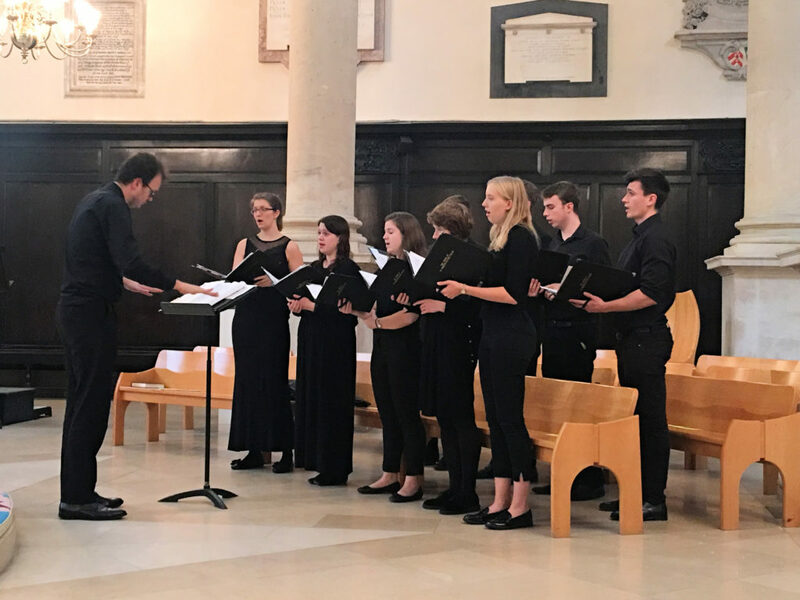 The Choral Scholarships provide an opportunity for ten singers to enjoy an intensive, focused period of training with others of a similar standard and interests and are an integral part of an exciting choral music programme. The Choral Scholars will sing at services, concerts and events at both St Martin-in-the-Fields and St Stephen Walbrook. The main focus of the scholarship will be regular services on Monday afternoons, Wednesday evenings and Thursday lunchtimes. More information is available in this Application Pack. Download an Application Form here. Closing date : Noon on Tuesday 19th June 2018.